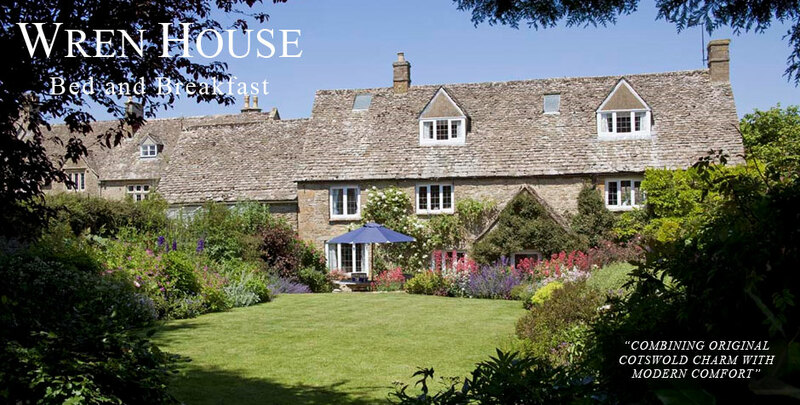 This particular area of the Cotswolds is wonderfully served by some very good quality gastro-pubs and restaurants. Some of the better ones within 10-15 miles of Wren House (with websites, and postcodes for those with Sat Nav!) are detailed below with an asterisk (*) where they have been tested by Kiloran. Drop down to find these, and others known to be good, listed under/near your travels around the area. You are strongly advised to BOOK well ahead, particularly for Friday and Saturday nights, even in the winter months. *The Fox Inn, Lower Oddington, GL56 OUR (3 miles) 01451-870555: This has really upped its game recently. It is a pretty pub with a crackling fire in winter and an attractive eating out area in summer. Good to very good pub fare, depending on your choice. If you want a classic Cotswold pub not far from Wren House/The Granary, this is the one for you with flagstones, beams and open fires. 7 days. Lunch 12-2.30 (Sun 12-3), Dinner 6-9 (Sun 6-8.30). www.thefoxatoddington.com. *The Swan Inn, Swinbrook, near Burford, OX18 4DY (12 miles) 01993-823339: This pubs is idyllic, situated as it is beside the river. It also has a fascinating recent history. It was owned by the late Duchess of Devonshire, Debo, the last of the Mitford sisters who lived at Batsford House, then Asthall Manor and, finally, Swinbrook Manor. Theirs is a rich history of the era and the area and well worth exploring. Four of the Mitford Girls are buried at Swinbrook church where, from boredom the girls used to lick the pews! In a conversation (in full on the website) the Duchess revealed to her publican, Archie Orr-Ewing (who also owns and runs The Horse and Groom Inn at nearby Bledington), some delightful titbits of local interest. The pub was also used as the film set for the elopement of Lady Sybil and chauffeur Branson in the first series of Downton Abbey and, more recently, was the scene of a matey pub pint with ex-Prime Minister of the UK, David Cameron, and ex-President Hollande of France – almost as ancient history! The décor is simple (plenty of pictures of the Mitford girls) and tasteful and the food is good to first class. But it is more than just a good food experience …. 7 days. Lunch 12-2(2.30 Sat, 3 Sun), Dinner 7-9 (Sun 7-8.30) www.theswaninnswinbrook.co.uk. Stow on the Wold has many – these are the better ones in my view! Indian, Moreton: *The Spice Room, 3 Oxford Street, Moreton-in-Marsh, GL56 0LA (3 miles) 01608-654204: the best Indian cooking in Moreton – and generous portions but perhaps not the cheapest. Take away available. No website currently. Indian, Stow: *The Prince of India, 5 Park Street, Stow-on-the-Wold, GL54 1AQ (2 miles) 01451-830099. Mixed reviews. Thai, Malay, etc. Chipping Norton: Thai Shire, 7 Horse Fair, Chipping Norton, OX7 5AL (9 miles) 01608-645888. Some very good reports (September 2017) of a good Thai (with Chinese influence) meals and a pleasant Cotswold stone ambience. Take Aways available. Greedy’s Fish and Chips, Park Street, Stow-on-the-Wold, GL54 1AQ (2 miles) 01451-870821. *Ask Italian (pizza), High Street, Moreton-in-Marsh, GL56 0AX (3 miles) 01608-651119. 7 days 12 Noon – 11 p.m. Run of the mill but OK.